How worried are you about the health risks of occasional cannabis consumption? It probably depends on whether you’ve experienced life in a medical marijuana state. 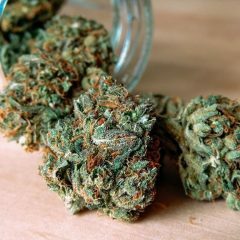 A new study published by a branch of the U.S. Department of Health and Human Services reveals a strong correlation between whether a state has legalized medical marijuana and how concerned residents are about health risks. 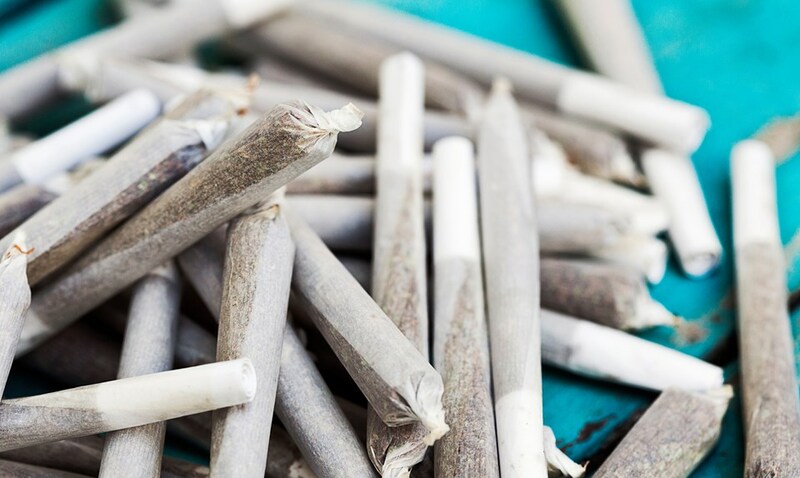 The report, published Tuesday by SAMHSA, the Substance Abuse and Mental Health Services Administration, compares cannabis use rates to the perceived risk of harm from consuming cannabis once per month. Medical marijuana states, where people have experienced the reality of medical cannabis use in their own communities, tend to have much lower perceptions of risk and fear than states where both medical and recreational use remains illegal. The study relied on data drawn from the National Survey on Drug Use and Health from 2012 through 2014, so it tells us little about the effect of adult-use legalization. (Colorado began selling retail cannabis in January 2014, Washington state in July of that year.) But many medical marijuana programs were up and running during the study period, and the correlation is striking. 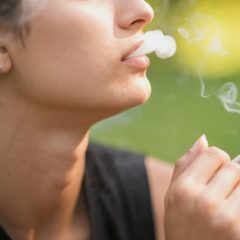 When asked whether they believed there was a “great risk of harm” from smoking cannabis once a month, 29 to 36 percent of people in non-legal states like Texas, Utah, and Oklahoma said yes. In experienced medical marijuana states such as Oregon, Colorado, New Hampshire, and Rhode Island, only 19 to 21 percent of people felt there was a great risk of harm from once-monthly consumption. Those opinions correlated with actual monthly use. Oregon, which registered one of the lowest perceptions of harm, also notched a relatively high percentage of residents (12 percent) who consumed at least once in the past month. In Texas, 36 percent of respondents saw monthly use as high-risk, and only about 5 percent of people said they’d consumed in the past 30 days. Curiously, officials at SAMHSA reported the results of their study as a warning about the dangers inherent in lowering the nation’s level of fear about cannabis. 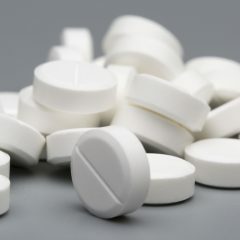 Fran Harding, director of SAMHSA’s Center for Substance Abuse Prevention, told USA Today: “What really is the strongest message that we hope people take from this is the connection between perception of risk and how that, in turn, dictates the use rates. Our prevention programming is through what we call a ‘risk and protection framework.’ So if there is high perception of risk there is going to be a lower use rate. The lower the perception of risk, the higher the use rates are." That’s one way of looking at the data. SAMHSA officials, who still consider it their duty to prevent all cannabis use, look at the numbers and see a state’s subsiding cannabis fears driving an increase in consumption. It’s a flawed model based on a failed notion: that instilling irrational fear of cannabis will scare people away from consuming it. The government has done that for 80 years and it hasn’t worked. Here’s another way of looking at the same data. Maybe it’s the case that people who have experienced the reality of medical cannabis use, who’ve seen their neighbors and family members benefit from its relief, have noticed that their previous fears about cannabis have proven to be largely unfounded. Marijuana is not a completely “safe” substance. Neither is alcohol, Advil, cough syrup, or caffeine. Cannabis is a substance that can be legalized, regulated, and treated appropriately, with full knowledge of fact-based risk, by adults in a modern state. As more and more states allow both medical and adult use of cannabis, those previously irrational fears will continue to subside. SAMHSA officials believe risk perception drives consumption. What they have yet to acknowledge is that experience also drives perception. Personality Quiz: How Open Are Cannabis Consumers?